Earth Day is over, but that's no reason to stop reading environmentally themed books. The Horn Book's Recommended Reading For Earth Day list is interesting because it's so long on nonfiction. Plus, the fiction books for older readers all have a post-apocalyptic or at least dystopian thing going on. 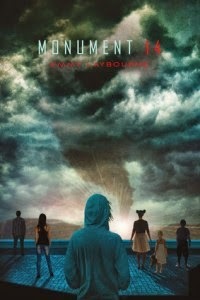 Monument 14 sounds intriguing, but in a disaster movie sort of way, not an environmental sort of way.